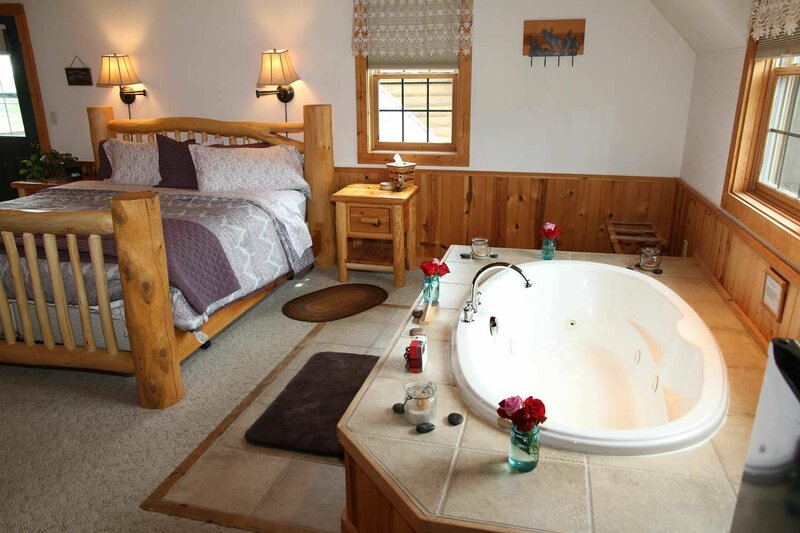 Escape from day-to-day hassles in this natural, wood-accented retreat. 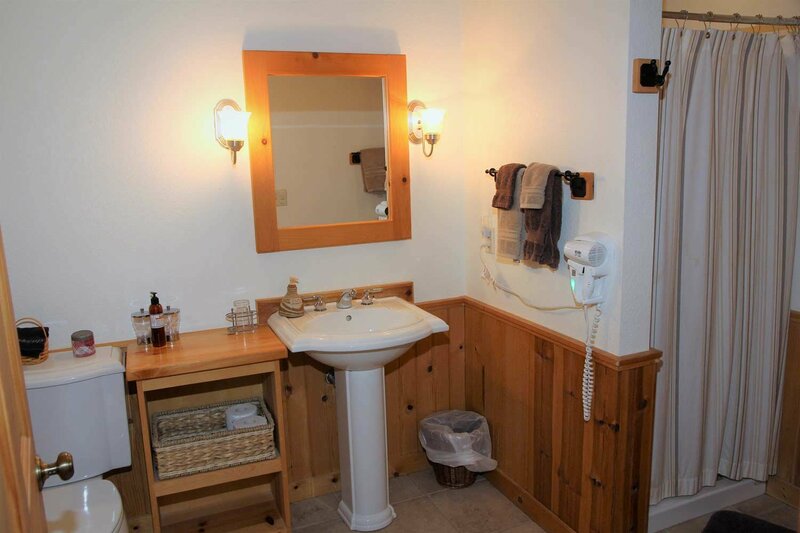 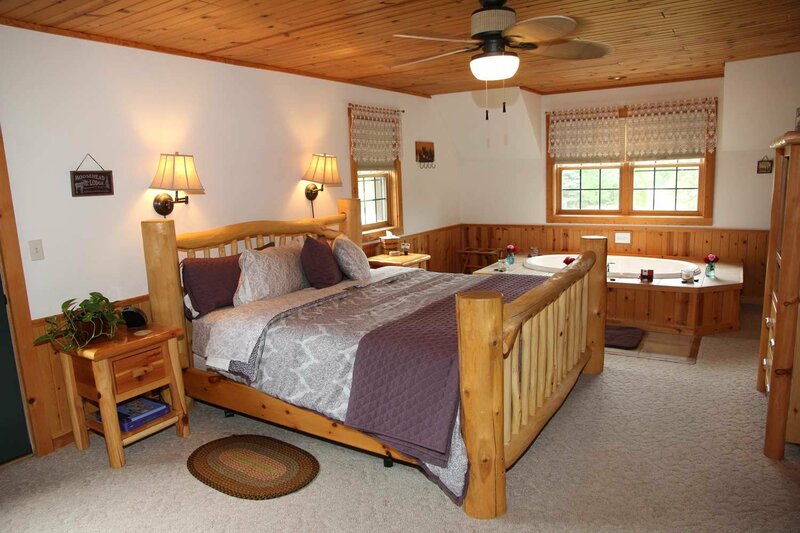 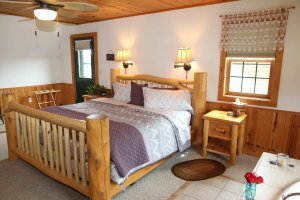 This room features a king size log bed, cable television, refrigerator, private bathroom and room temperature controls. 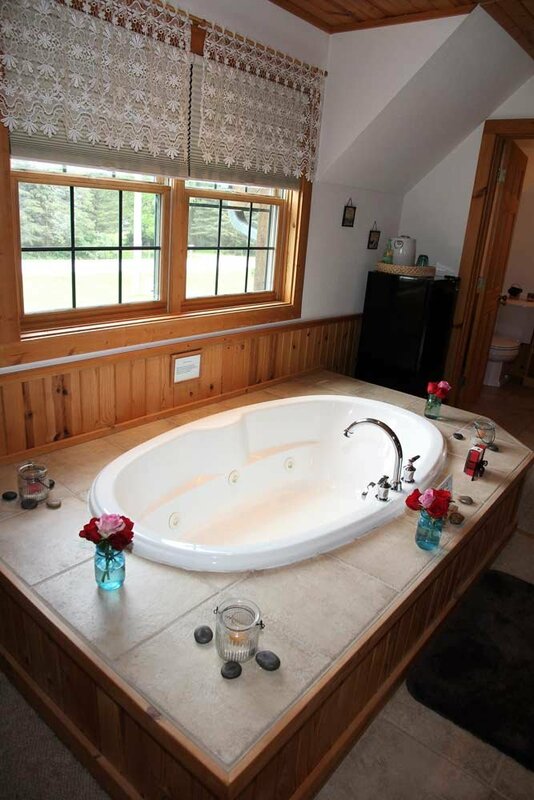 A private in-room Kohler double whirlpool bath and sitting area with cast iron fireplace add to the charm. Step out onto your own private porch for some quiet downtime and fresh air.